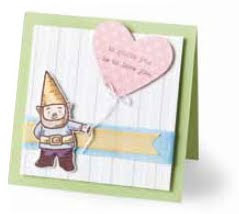 Craftin' Caro: "To Gnome You is to Love You"
"To Gnome You is to Love You"
Celebrate the fun and fantastic world of gnomes! 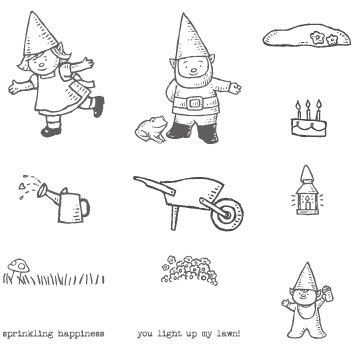 These diminutive woodland folk will light up your cards, scrapbook pages, and projects with their special charm. This magical twelve-piece set lets you mix and match to create your own tiny tableaux. Perfect for party invitations, tags, gardening themes, and even Christmas projects! It coordinates with the Gnomenclature Stamp Set.